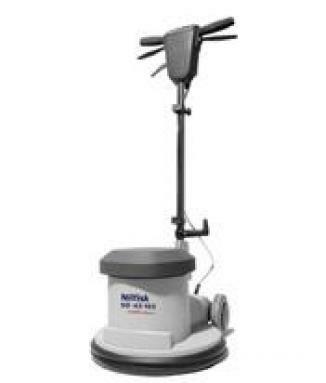 Small mains powered, 230 volt walk-behind scrubber dryer with a 2 tank system, very easy to operate and transport, perfect for small areas. Cleans both forwards and backwards. 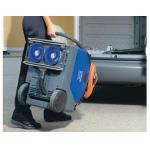 Compact machine with foldable and adjustable handle makes it very easy to transport. 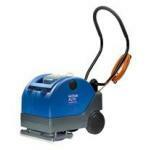 With additional accessories this multipurpose machine can also be used as a carpet extractor. * Clear lid on recovery tank makes it easy to see the cleaning result. 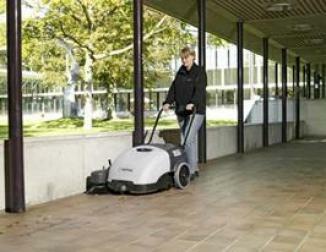 -Compact design with large wheels. * two tank design., Cleaning agent added with precise dosing pump. * Quick connection for accessories. 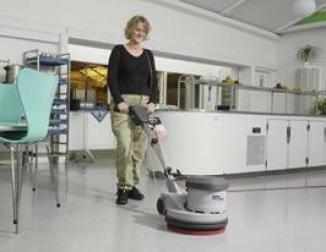 * The machine is equipped with two disc brushes/ pads giving 18 kg of down pressure. 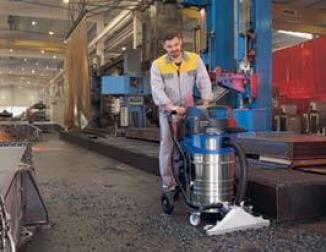 * The machine cleans forwards or backward.